On Saturday, Aussie invited all us Angels to a huge Summer Soiree to celebrate everything we've done for the Lusciously Light Challenge (see here), and generally just have a good time. It was the first time that ALL the Angels were in one room, and it was great to finally meet some bloggers that I'd never had the chance to previously. Once again, Aussie threw one hell of a party, that left all us bloggers completely spoilt rotten and feeling like princesses. There were hairdresses on hand, and I decided to go wild and big with my hair. There was also great food (hello cheesecake) and some aussome music on in the background, as ewll as great company all round. There was also a super cool candy floss machine. We got to make our own!! 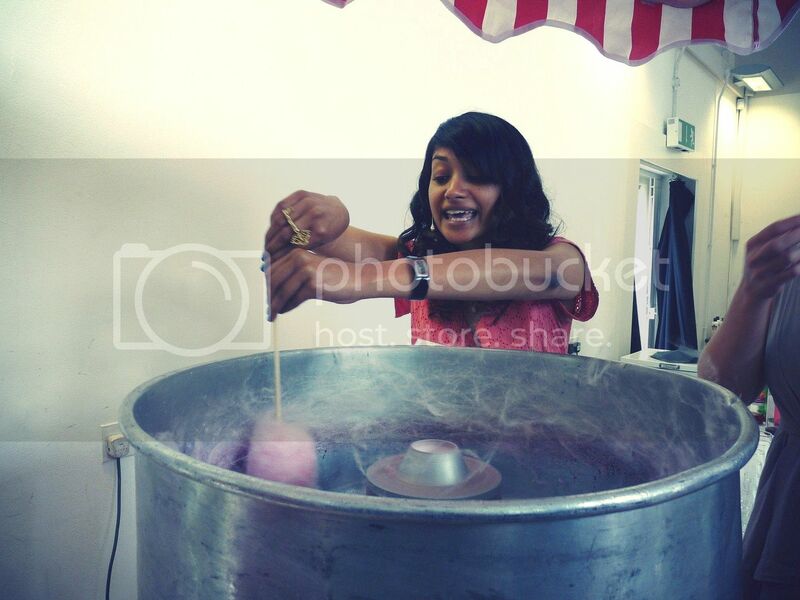 Definitely a lot of fun (as you can tell from my face) and I think I have a hidden talent for making candy floss. It was great seeing most of my favourite bloggers altogether, while generally just hanging out. 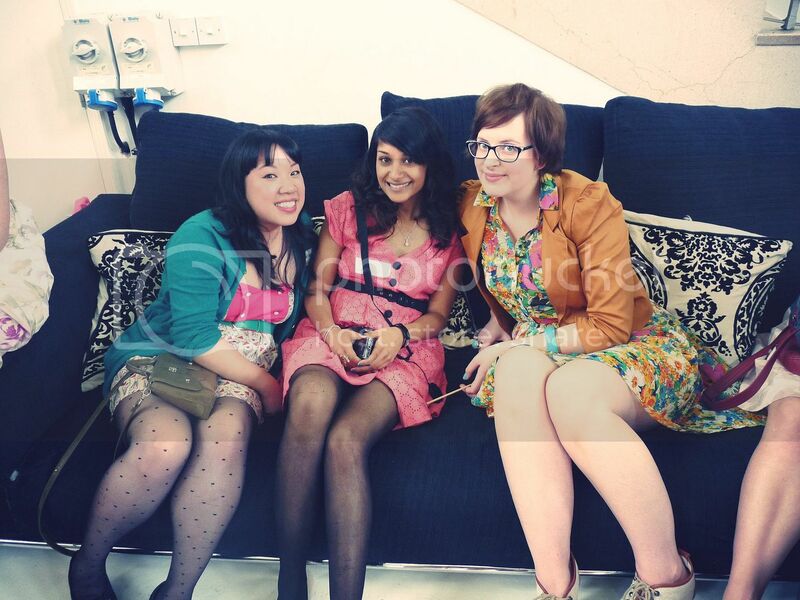 Meting amazing girls at events has always been my favourite part of blogging. This is me with Winnie and Jen. And it was also finally warm this weekend, so we got to sit outside for a while. This is Maria, Susie, Reena and Reena's Cousin. And apparently, this is my 'Where's my Limo?' face, hehe. P.S. I'll do an outfit post of this dress tomorrow. Also, Susie took a lot of the pictures above and there are more pictures on my Facebook page. Aussie parties are always such fun! This one looks like the best party yet. I love all the pictures - that one of the three of you on the sofa is my favorite! And I just adore the pretty little dresses that you and Maria are wearing. Seems like you had an awesome time! And looked totally cute! 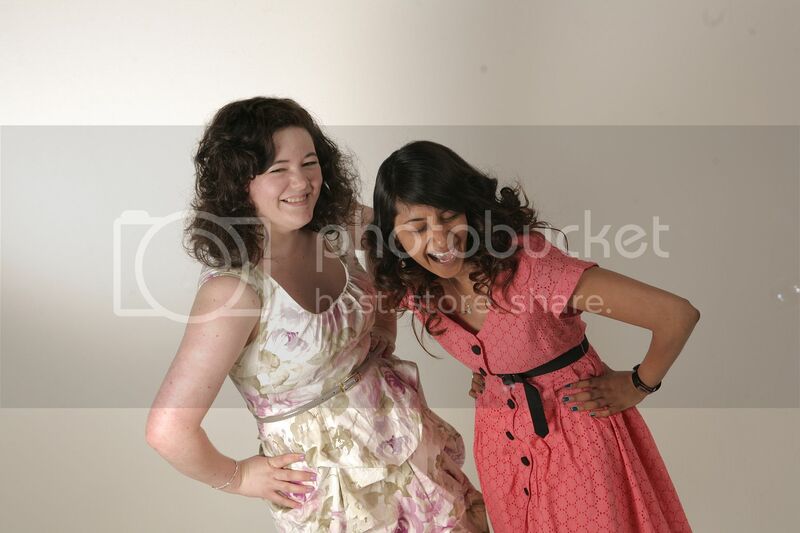 This was so much fun--thanks so much for inviting me, Sherin! That looks like it was such an awesome event! 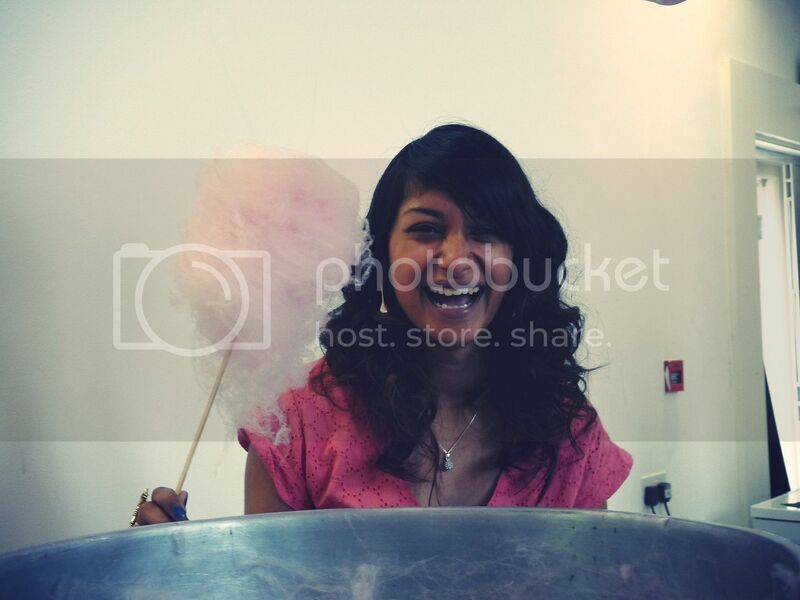 The cotton candy machine is crazy cool, and how fun that there was a photographer?! Meeting other bloggers is the best! Looks like you had a great time. Totally craving candy floss now! I love cotton candy! And you are sooooo lucky you get to attend all these insanely awesome events. Being a blogger in London is a lot more fabulous than being a blogger in Missouri. Sigh. And I love your dress! What a fun event! You look amazing and cotton candy, too?? YUMMY! So I have been a horrible commenter! 1/2 the time I go to comment I end up not being able to, or distracted. Bleh...sorry my dear! 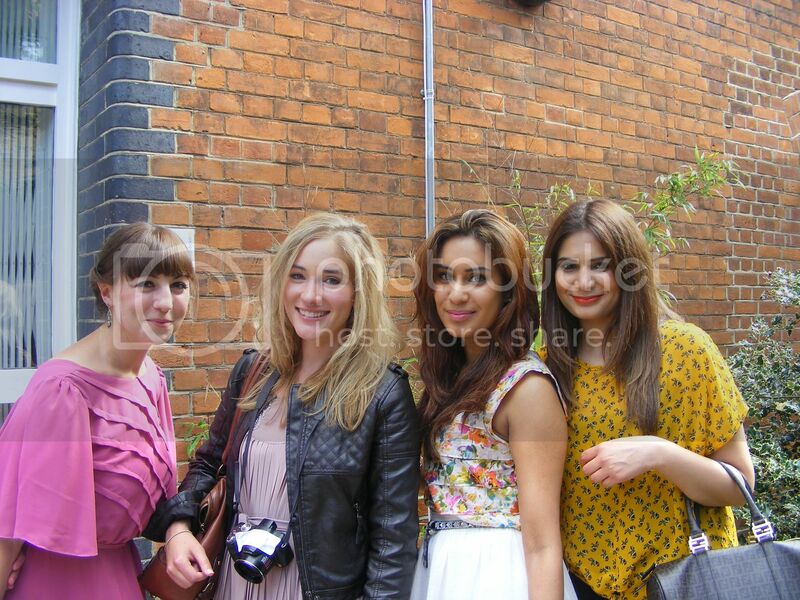 Love these, this was such an awesome day. 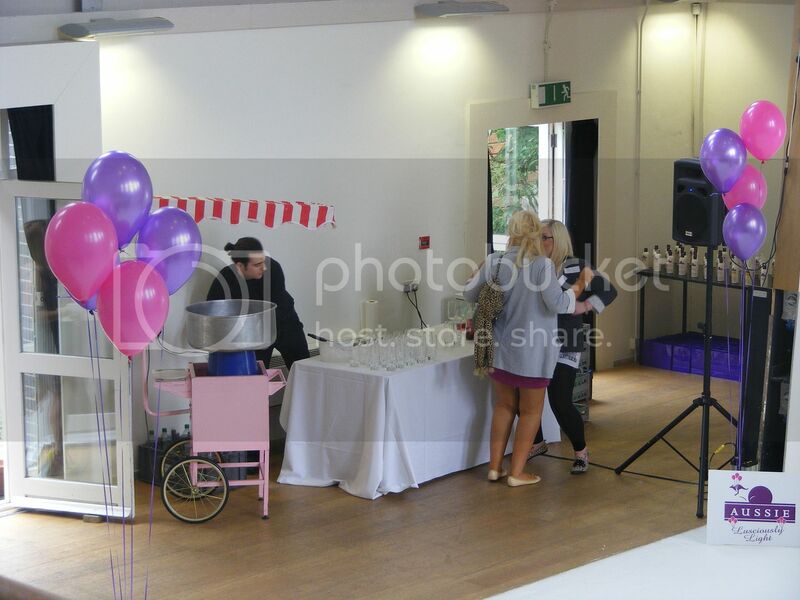 Love the one of you with the candy floss! You are adorable!! Awesome photos. You alwas look like you are having the time of your life and enjoying yourself.